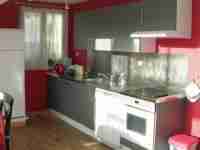 Self-catering accommodation for 2 people in Lille (59110) close to Entertainment. 20 m² accommodation for 2 people. This accommodation is located in the town of Lille (Nord-Pas-de-Calais in France) and is close to: Entertainment, Cinema, Town centre, Bakery, Airport, Shops, Religious buildings, Museum, Restaurants. This accommodation is composed of: Kitchenette, Bathroom with toilet. Self-catering accommodation for 6 people in Wimereux (62930) close to Shops. 50 m² accommodation for 6 people. This accommodation is located in the town of Wimereux (Nord-Pas-de-Calais in France). Pets are forbidden. This accommodation is close to: Shops, Town centre, Sand beach, Supermarket, Restaurants, Public transport. This accommodation is composed of: Bathroom, Living room. 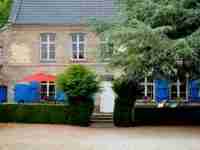 Self-catering accommodation for 9 people in Recques-sur-Hem (62890) close to Shops. 180 m² accommodation for 9 people. 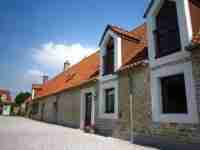 This accommodation is located in the town of Recques-sur-Hem (Nord-Pas-de-Calais in France). Pets are forbidden. This accommodation is close to: Shops, Town centre, Sand beach, Lake, Supermarket, Restaurants, Public transport. This accommodation is composed of: Kitchenette, Bathroom, Separate toilet, Living room, Dining room. Self-catering accommodation for 4 people in Lefaux (62630) close to Shops. 75 m² accommodation for 4 people. This accommodation is located in the town of Lefaux (Nord-Pas-de-Calais in France). Pets are forbidden. 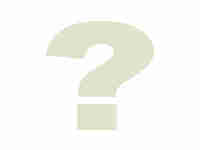 This accommodation is close to: Shops, Town centre, Forest, Sand beach, Supermarket, Restaurants. This accommodation is composed of: Kitchenette, Bathroom, Dining room. Self-catering accommodation for 4 people in Le Ponchel (62390) close to Shops. 80 m² accommodation for 4 people. This accommodation is located in the town of Le Ponchel (Nord-Pas-de-Calais in France) and is close to: Shops, Supermarket, Restaurants, Public pool. This accommodation is composed of: Kitchenette, Bathroom, Living room. 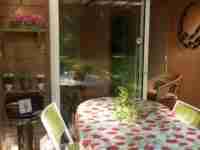 Self-catering accommodation for 2 people in Le Ponchel (62390) close to Shops. 20 m² accommodation for 2 people. This accommodation is located in the town of Le Ponchel (Nord-Pas-de-Calais in France) and is close to: Shops, Supermarket, Restaurants, Public pool. This accommodation is composed of: Kitchenette, Bathroom. 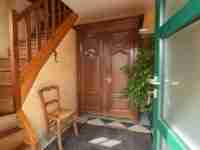 Self-catering accommodation for 4 people in Leulinghen-Bernes (62250) close to Shops. 70 m² accommodation for 4 people. This accommodation is located in the town of Leulinghen-Bernes (Nord-Pas-de-Calais in France). Pets are forbidden. This accommodation is close to: Shops, Town centre, Sand beach, Supermarket, Restaurants, Public transport, Public pool, Public indoor pool. This accommodation is composed of: Bathroom, Separate toilet, Dining room, Mezzanine. Self-catering accommodation for 5 people in Courset (62240) close to Sea. 110 m² accommodation for 5 people. This accommodation is located in the town of Courset (Nord-Pas-de-Calais in France) and is close to: Sea, Sand beach, Supermarket, Restaurants, Public pool. This accommodation is composed of: Kitchenette, Bathroom, Separate toilet, Living room. 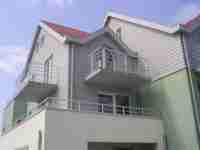 Self-catering accommodation for 6 people in Equihen Plage (62224) close to Shops. 48 m² accommodation for 6 people. This accommodation is located in the town of Equihen Plage (Nord-Pas-de-Calais in France). Pets are forbidden. This accommodation is close to: Shops, Town centre, Sand beach, Supermarket, Restaurants. This accommodation is composed of: Kitchenette, Bathroom, Living room. Self-catering accommodation for 4 people in Equihen Plage (62224) close to Shops. 35 m² accommodation for 4 people. This accommodation is located in the town of Equihen Plage (Nord-Pas-de-Calais in France). Pets are forbidden. This accommodation is close to: Shops, Town centre, Sand beach, Supermarket, Restaurants. This accommodation is composed of: Kitchenette, Bathroom, Living room.